Website Tour – Guided Walk-through of Newly Launched Website! 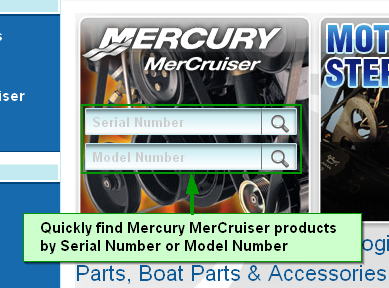 If you don't see the Personal User Bar links at anytime while navigating the website you can navigate back to the Homepage or Browse Products and you will be back in the store area. 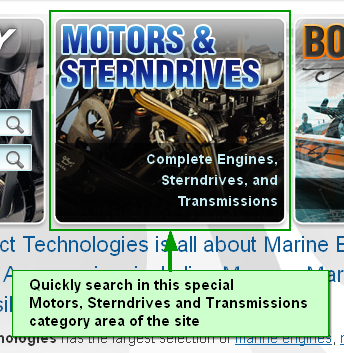 The Main Content area is where products and pages appear and will change according to where you navigate. The TECH LIBRARY is your source for information and research. Are you looking for a product or tech info? If looking for a product, do you know the p/n of the product? 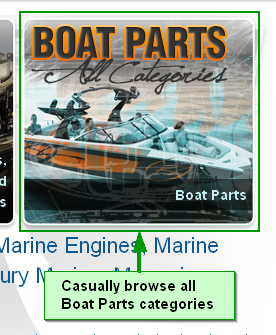 If you don’t know the p/n Are you looking for engine parts or boat parts? 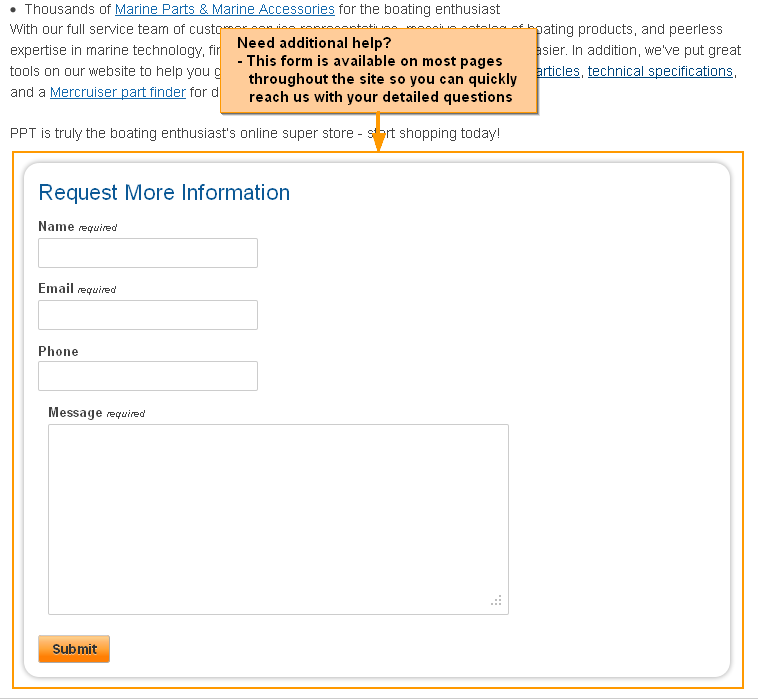 Use the “Request More Info” form on the product pages.